HAWTHORN expects to see Geelong star Steve Johnson's name on the team sheet tonight when the sides are named for tomorrow night's blockbuster qualifying final at the MCG. Johnson, sidelined for the past three weeks with a foot injury, trained lightly on Monday, his first run since picking up the injury. The midfielder/forward averages almost 22 disposals against the premiers, and has booted 21 goals in his 16 games against the brown-and-golds. He almost stole last year's preliminary final from the Hawks with 32 disposals and four goals. 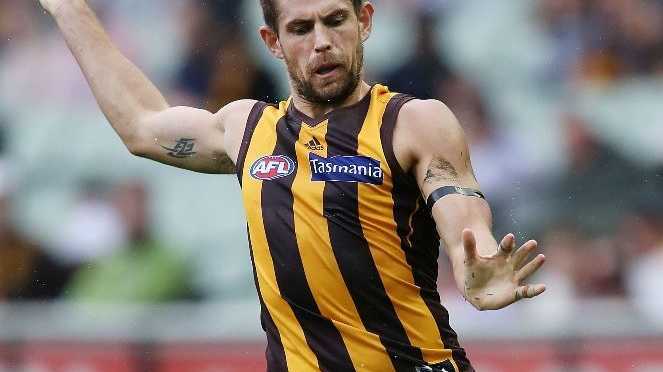 Hawthorn is expected to regain skipper Luke Hodge (knee), defender Ben Stratton (calf) and Brad Hill (quad) for the clash after the trio missed last weekend's game against Collingwood. Dynamic small forward Cyril Rioli (hamstring) is expected to be available for selection in the preliminary final - provided Hawthorn makes it that far - after being out since round 15.